FREE ADMISSION. Click here to read a message to our community. Inners Shows is the amusement rides and carnival vendor for the fair. Wrist bands for unlimited rides will be available each day of the fair. Wrist bands will be $17 on Wednesday and $20 on Thursday, Friday and Saturday. “Farmily Feud” and the “Mystic Magic Show” are two shows nightly Wednesday through Friday and three shows on Saturday. “Dakota and Friends” is inside the Events Center and periodically strolls throughout the fair midway. 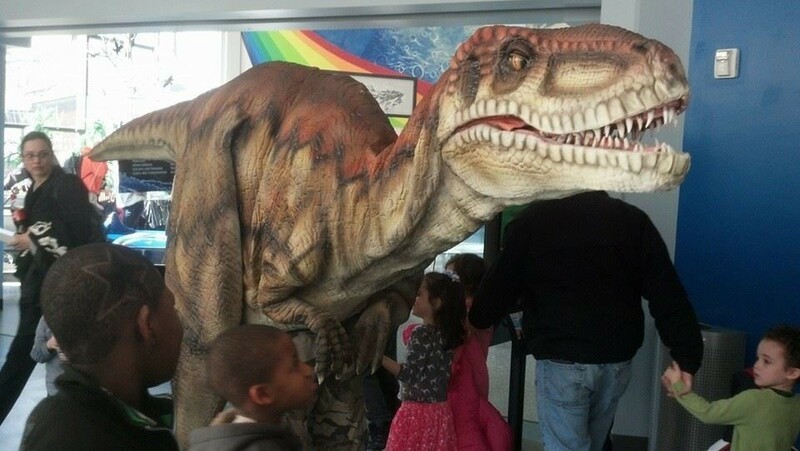 What kid doesn’t love dinosaurs? Baby T. (small and cuddly) and Dakota (full size) are part of six dinosaurs—and even some dragons!—in this interactive stage show that will also “stroll” the fairgrounds, entertaining, educating and interacting with fair- goers. Fun for all ages! Agriculture education becomes fun and entertaining when teams test their knowledge of farming, farm animals and what comes from a farm. Additional shows of magic and comedy as well as a silly “Survivor” challenge make this 3-show act a winner for entertaining family fun! Who doesn’t love magic? Giovanni Anastasini and this 8th generation Italian performing family present a non-stop show of mystifying magic, illusion and variety acts that have amazed audiences throughout the world. The Mystic Magic Show will keep you on the edge of your seat with excitement. Duplin Agribusiness Fair, 195 Fairgrounds Drive, Kenansville, NC Copyright © 2018. All Rights Reserved.